Explores life on the Makuyu and Kameno ridges of Kenya in the early days of white settlement. Faced with an alluring, new religion and "magical" customs, the Gikuyu people are torn between those who fear the unknown and those who see beyond it. 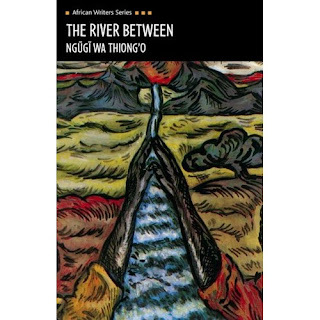 Ngugi wa Thiong'o was born in Limuru, Kenya, in 1938, was educated at the Alliance High School, Kikuyu, at Makerere University, Uganda and at the University of Leeds. His novel, Weep Not, Child, was published in 1964 and this was followed by The River Between (1965), A Grain of Wheat (1967), and Petals of Blood (1977). Devil on the Cross (1980), was conceived and written during the author's one-year detention in prison, in Kenya, where he was held without trial after the performance by peasants and workers of his play Ngaahika Ndeenda (I Will Marry When I Want). This was his first work to be published in his own language, Gikutu, and then translated into English and many other languages. His novel Matigari, was published in Gikuyu in Kenya in 1986. The author has also written collections of short stories, plays and numerous essays. Ngugi is an active campaigner for the African language and form, and he writes, travels and lectures extensively on this theme. His work is known throughout the world and has made powerful impact both at home and overseas. He now lives and works in the United States, writing and lecturing, and is a Professor at New York University.